First-year Jake Lorang is the first to admit he sticks out like a sore thumb on Whitman campus. A bald 38 year-old man, Lorang is not difficult to spot amongst a crowd of long-haired, Chaco-wearing college students. “I’ve had a few [students] ask me if I was a teacher. It’s awkward,” Lorang said. Despite his departure from the typical characteristics of a Whitman student, Lorang is just as much part of the student body as anyone else. 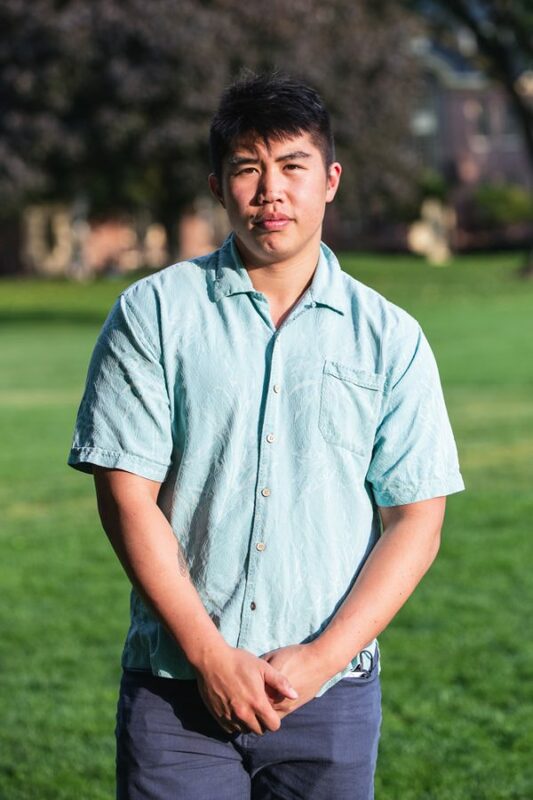 Like Lorang, there are two other students enrolled at Whitman—Trung Vu and Darlene Harris—who differ from the normal Whitman student. Although their backgrounds vary, it is clear that all three are intelligent and caring individuals whose presence on campus is greatly valued. Lorang doubles as both a dad of three and a Whitman student. He grew up in on a farm in Walla Walla and says the foundation of his life was raising chickens and cows as well as milking goats. Lorang immersed himself in religious studies for 20 years by participating in church activities. 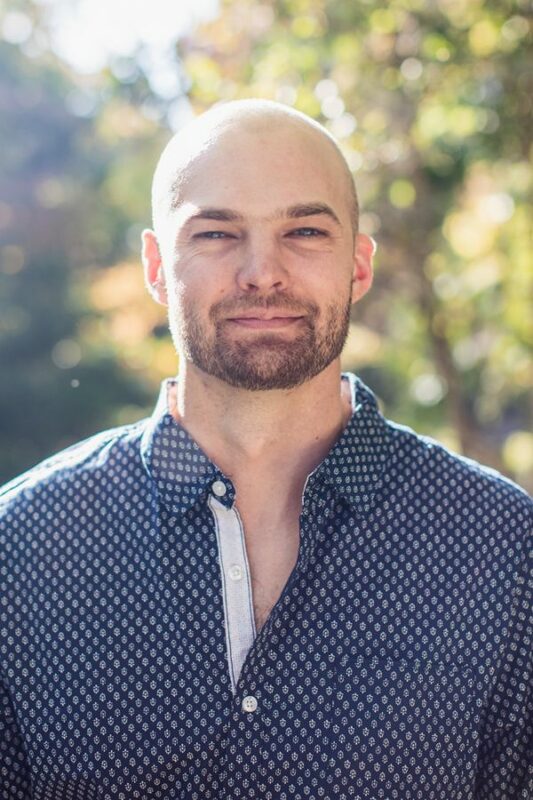 Religion consumed and directed Jake’s initial life path, but he also read about philosophy, psychology and political theory in his spare time. After a severe job-related injury, Lorang’s path suddenly changed. The injury created a circumstance for his studies to develop into something more than just an interest. “I experienced a major paradigm shift when I decided to completely walk away from my previously formed religious beliefs,” Lorang said. Part of this switch included leaving his job as a manual laborer to study at Walla Walla Community College. While there, a professor encouraged Lorang to pursue academics at Whitman. “I wanted to redevelop my worldview, my professional skills and cultivate a focus for a deeper understanding of various disciplines,” he said. Lorang voiced his appreciation for Whitman to providing him an opportunity to pursue an education at a reduced cost. His newfound educational opportunity comes at a cost socially—he has experienced difficulties as a non-traditional student. This social rift also affects Lorang’s experience academically. Lorang also said that language is spoken differently in higher academia. Lorang said he someday hopes to be perceived as a normal student. Junior Computer Science major Trung Vu was raised in Washington and initially enrolled in a large university after his high school graduation. For Vu, it was the wrong choice. Once Vu concluded that a small school was the best fit for him, he chose to unenroll from the large university. But he didn’t choose to go to a small school right away. He sought direction. His direction was temporarily found through enrolling in the United States Marine Corps. “I knew I wanted to travel and the Marines provided me with a paid opportunity to do exactly that,” said Vu. As a Marine officer, Vu received the opportunity to travel across the coast of Southeast Asia. “If you can name a country along the coast of Southeast Asia, I’ve likely been there,” Vu said. It was during his military service that Vu devised a plan to return Washington to continue to pursue his education. “With the help of the parameters that I made for myself, I knew Whitman was the clear choice,” Vu said. Vu enrolled in Whitman aware that he would be an outlier. Whitman admissions informed him that he would be the single representative of military service members in the student body. Although not ideal for Vu, this did not sway his decision. Besides his military service, Vu is unique in comparison to his classmates because of his age. Vu is 25 years-old. He finds his older age to be only slightly inhibiting in his experience as a Whitman student. “My age and experience has allowed for connections with older students, but sometimes I feel as if I have been missing the experience of growing and connecting with my class. I have found it to be challenging to engage with some of my younger peers,” Vu said. The lack of engagement with classmates has been somewhat compensated for as Vu just moved off campus and recently rescued a kitten from the Blue Mountain Humane society. The orange tabby cat spends most of the day with its eyes closed and goes by the name of Tulip. Despite the nontraditional nature of Vu’s experience here, he said he has been content with his time at Whitman. Junior Darlene Harris is a Psychology major from Walla Walla. 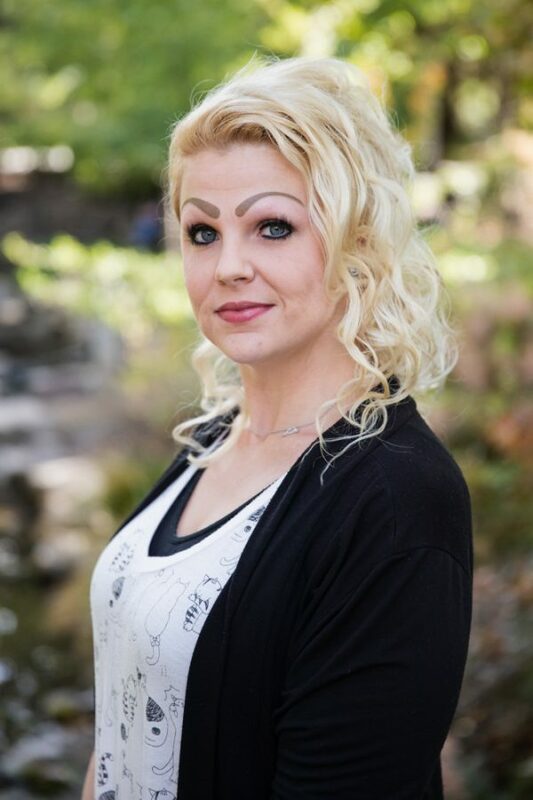 She is also the most enthusiastic 35 year-old student on campus. Before coming to Whitman, Harris lived a life full of struggle. Harris is a recovering addict of seven years, has struggled with mental illness and once became so physically sick that she lost the conceptualization of walking and talking and had to relearn both skills. Having withstood all her life’s adversities, Harris is currently embracing the opportunity to be a Whitman student. Harris fits into the description by being the first of her family to graduate from community college, and soon, to graduate with a B.A. from Whitman. 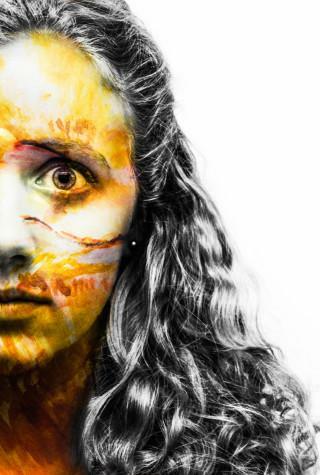 Harris is an anomaly within her family and the Whitman community. Although she looks quite young, Darlene’s uncommon age can cause confusion to members of the Whitman community. While sharing funny anecdotes about her age, Harris also more seriously mentioned how disparity in age has been a difficult part of her experience as a student. “It’s a challenge to be older than most students—it’s isolating,” she said. Harris said acts of kindness and students’ efforts to reach out do not go unnoticed. Through all the hardship, Harris remains grateful and optimistic about her educational opportunity. She exudes positive energy. After graduation, Harris plans to be a physiatrist—a physical medicine and rehabilitation physician who treats medical conditions affecting the brain, spinal cord, nerves, bones, joints, ligaments, muscles and tendons—so that she can guide others through suffering. Though their paths were indirect, Harris, along with Vu and Lorang, are on their way to receiving their diplomas at the end of their four years and pursuing their passions, just like us.